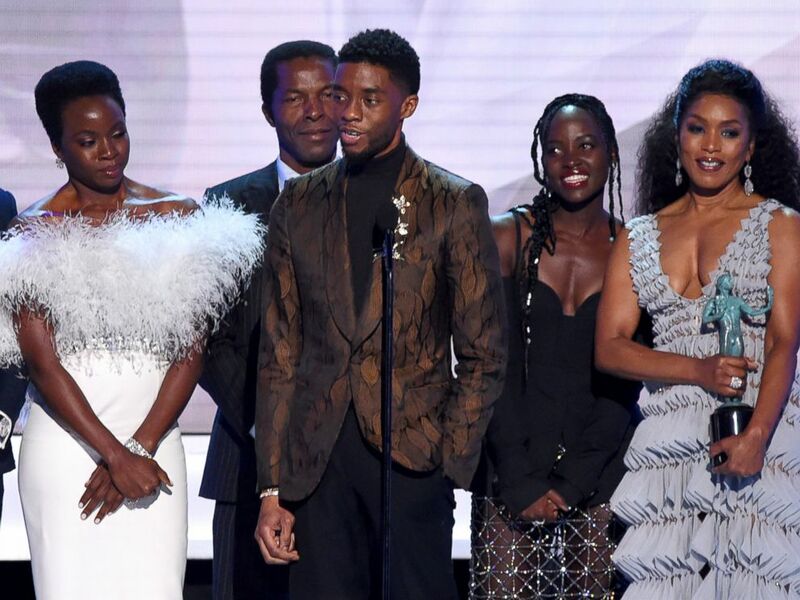 "Black Panther" took home the most-coveted award of the night at 25th Annual Screen Actors Guild Awards. The cast of the Marvel Comics blockbuster won the Screen Actors Guild Award for Outstanding Performance by a Cast in a Motion Picture, beating out "BlacKkKlansman," "Bohemian Rhapsody," "A Star Is Born" and "Crazy Rich Asians." The record-breaking superhero flick also nabbed the award for best stunt ensemble before the telecast on Sunday. Chadwick Boseman attends the premiere of Disney and Marvel's "Black Panther" at Dolby Theatre, Jan. 29, 2018, in Hollywood, Calif. 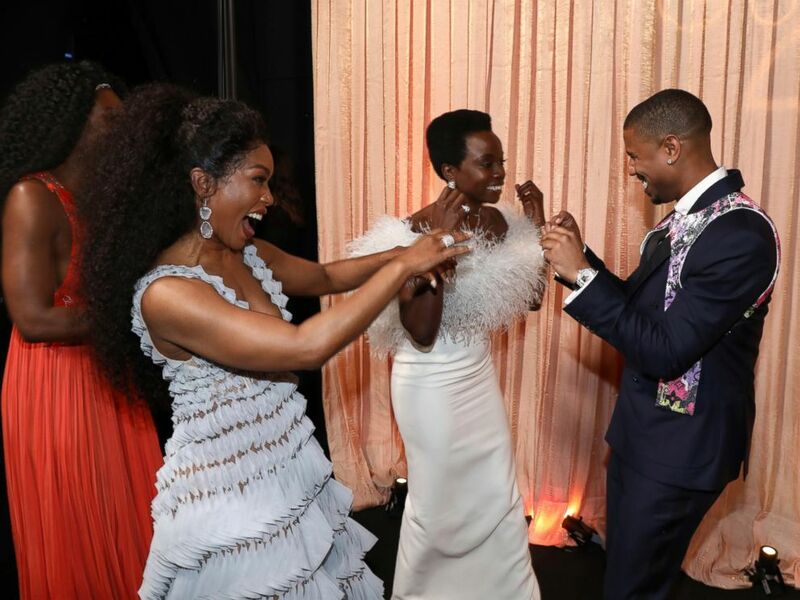 The film's cast, including Chadwick Boseman, Danai Gurira, Michael B. Jordan, Lupita Nyong'o, Angela Bassett and Winston Duke, erupted with joy when the big moment came. The aforementioned stars were all on stage to accept the award, but Boseman took the mic to deliver the acceptance speech. "When I think of going to work every day -- and the passion, the intelligence, the resolve, the discipline that everybody has shown -- I also think of two questions that we all have received during the course of multiple publicity runs," the actor said, after thanking the cast. "One is, 'Did we know that this movie was going to receive this kind of response?'" "The second question is, 'Has it changed the industry? Has it actually changed the way this industry works and how it sees us?' And my answer to that is to be young, gifted and black," Boseman added, gathering rousing applause from the audience. He continued: "To be young, gifted and black, we all know what it's like to be told that there is not a place for you to be featured ... we know what it's like to be beneath and not above, and that is what we went to work with every day because we knew ... that we had something special that we wanted to give the world." 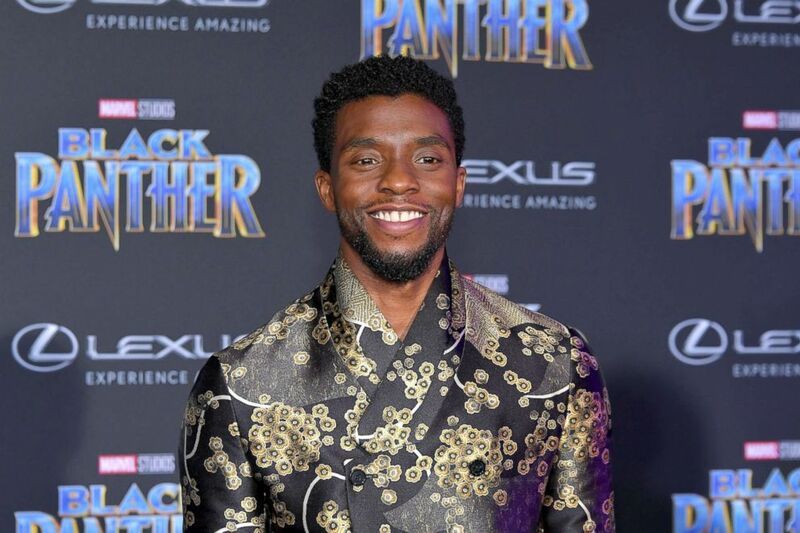 Boseman, who portrays the Black Panther in the blockbuster film, also thanked his peers in the actors guild. "We knew that we had something special that we wanted to give the world. That we could be full humans beings in the roles that we were playing. That we could create a world that exemplified a world we wanted to see," he said, nearly running out of his allotted time. "It's a pleasure to be celebrated by you and to be loved by you." The SAG Awards are considered by many a bellwether for the Academy Awards, which takes place next month. Over the past decade or so, the SAG ensemble winner has gone on to win Best Picture at the Academy Awards about 50 percent of the time.